Posted on April 23, 2018 by inchan	in Review, Translation and tagged Akimoto Manatsu, Hori Miona, Hoshino Minami, Ikoma Rina, Ikuta Erika, Kubo Shiori, Nogizaka Under Construction, Nogizaka46, Ozono Momoko, Saito Asuka, Yamashita Mizuki, Yoda Yuki. I’m still feeling emo with Ikoma grad con today. But, here we go. 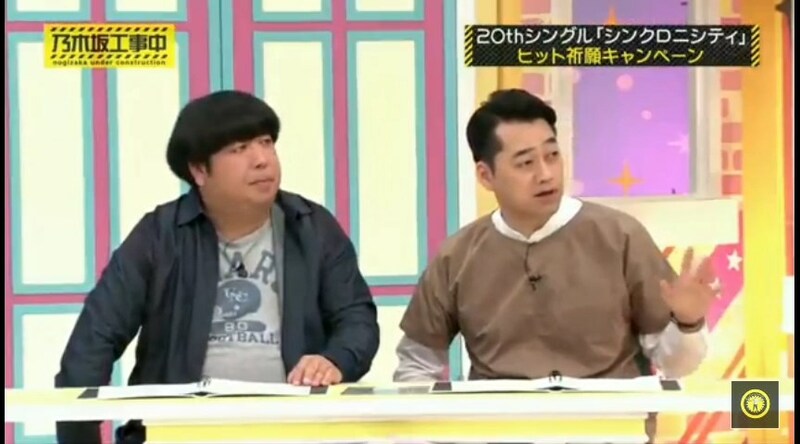 This week Nogichuu is 20th single hit prayer. Shitara: We didn’t hear details about the hit prayer this time. Looks like Ikoma went for it. Shitara: Ikoma, how was it? Ikoma: If you ask me how was it, it was like the usual. Himura: I see. So it was rough as usual. Ikoma: For this single hit prayer, I will do it since this is my last single before I graduate. Ikoma: Why? Because it’s mount climbing again. Sign: Mountain until the end. 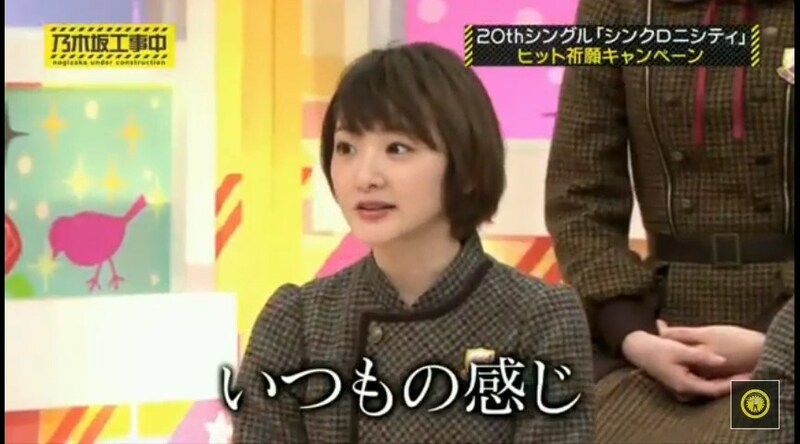 Ikoma: I also want to teach many things to 3r gen members who carry on (Nogizaka’s) future. Ikoma: We are also having a special guest today. Minami: Why am I here? Minami: Just how many times I should try again to give my best until I get forgiven? Ikoma: It was like all decided since the time of senbatsu announcement of this single that you will also go for this hit prayer. Minami: Like in handshake event, fans were like, “Nicely done for the hit prayer!” even though I haven’t gone for it yet. And then I guess I couldn’t do anything but go do the prayer. Minami: Since Ikoma-chan is graduating after this, I think I will also graduate from doing hit prayer! Minami: Let’s pass the baton to the 3rd gen.
Lol, I thought she was there for her PB hit prayer! Ikoma: If Minami-chan is graduating from doing hit prayer, then…shall we choose the new captain for Mount Climbing club from them? Minami: It’s my last as well! Ikoma: Do you know the timing we are doing this now? It’s two days right after 46hours TV. The climbing was going monotone for 30 minutes. Ikoma: I’m afraid that we can’t fill the duration for one episode if everyone is being quite like this. Minami: I will talk a lot today. Ikoma: That certain person who likes to be tripped isn’t here after all. Sign: ‘That’ girl isn’t here. 5 hours since they started climbing, they finally face the last rough spot. They have to climb a cliff that almost 90 degrees. Minami: Since I’m the first one to climb, I want everyone to rest assure that this isn’t so frightening. Words: She is calmly climbing so the 3rd gen members won’t be in anxiety. 2nd climber is Momochan. She did it well without any major difficulties. Mizuki: I can’t move my legs well… But I’ll do my best! The last is the captain. With all her feelings for both of the club and the group, she climbed up the cliff. Ikoma: Some members are first timers, but it seems we climbed in joy so I have no regrets! All: We wish for 20th single; “Synchronicity” will become a big hit! Minami: Let’s pray for Ikoma-chan’s graduation as well! Ikoma: Huh? What? You girls will pray for me? Momochan: We wish for your happiness!! 20th single hit prayer has been done successfully! Shitara: Now that the captain for Mount Climbing club is about to leave, Hoshino, don’t you want to be her successor? Minami: Actually I had other job in my schedule that time. But I didn’t know why it turned into mount climbing schedule. 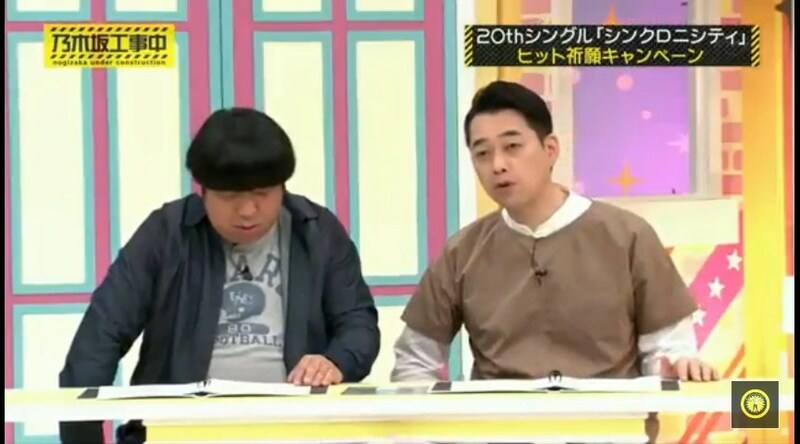 Shitara: How about you, Akimoto? Shitara: Asuka-chan is also member of the club, right? Shitara: Why don’t you be the captain? Ashu: I have been concealing my existence because I really don’t want to be. Himura: THIS CLUB IS ABOLISHED! Shitara: How about action club? Ikuchan: Scuba diving club too. Shitara: How are you girls doing with the club? Ikuchan: I really want to go at least do the dive activities. Ikuchan: I just want us to dive into something. Shitara: Let’s end this club activities temporarily. Two different reaction from club leaders. Lol. Posted on April 6, 2018 by inchan	in Ikuta Erika, Review, Translation and tagged Featured, Hoshino Minami, Ikoma Rina, Ikuchan, ikuihoshi, Ikuta Erika, Nogizaka46. Just how many liters of tears I should shed so I could reach out to my dream? How will people live when their dreams have already came true? Someday we will grow and compete each other. That’s who we are, right? This song is sung only by 1st gen member. And when I listened to the lyrics carefully, my eyes became blurry. It’s still unknown who is the center for this song. But people are sure it’s Ikoma because the lyrics is describing her in the beginning. People are hoping ikuihoshi (Ikuta, Ikoma, Hoshino) are the front members. If that’s true, I guess I may be wailing. I meant, most of ikuihoshi fans are heartbroken knowing Ikoma didn’t center the last single along with Ikuchan and Minami beside her. And some of us quite disappointed with “Mangetsu ga Kieta”. The possibility is high. I could hear Ikuchan, Ikoma, and slightly Minami’s voice in the beginning of this song. Please don’t make us disappointed again, staff-san. I LOVE IT!! !PROBABLY REPLACING “Fuminsho” IN MY CURRENT 1ST FAVORITE NOGI’S SONG!!! Posted on January 31, 2018 by inchan	in News and tagged Ikoma Rina. Nogizaka46 1st generation member; Ikoma Rina announced graduation in an interview of Nikkan Sports newspaper (Jan, 31st issue). The trigger of this graduation is because it’s common (in Japan) that a 22 years old as freshgrad to contribute in society. She wants to make a lot of friends after graduated and work extensively as a talent. And here I am still waiting for words from officials. Posted on October 29, 2016 by inchan	in Blog Translation, Ikuta Erika, Translation and tagged いくちゃん, かずみん, まいやん, 生田絵梨花, 生駒里奈, 白石麻衣, 高山一実, Higuchi Rina, Ikoma Rina, Ikuchan, Kazumin, maiyan, Sakurai Reika, Shiraishi Mai, Takayama Kazumi, 桜井玲香, 乃木坂46. and recieved the award two days ago!